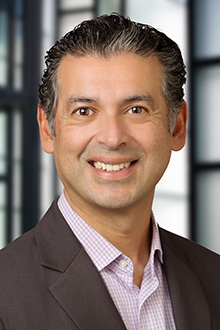 René Gamboa serves as the nationwide Chair of Lewis Brisbois’ Green Technology Practice Group. Mr. Gamboa has worked with clients ranging from start ups to multi-national companies across a variety of industries. Having served as General Counsel and Business Development Director at two software Internet companies, and having worked in real estate as a broker, Mr. Gamboa understands the business objectives of his clients, and brings that experience to his transactional practice. Mr. Gamboa acts as outside general counsel to companies, helping them grow and manage risk, has successfully advised C-level executives, and has worked collaboratively across various teams within a company, including sales, engineering, products, and marketing to achieve a company’s goals. Mr. Gamboa has counseled clients on all stages of a company’s development, from initial entity formation issues, intellectual property and licensing issues, corporate governance issues, through sale or merger events and exit strategies. He has also counseled clients in negotiations with venture capitalists. Mr. Gamboa’s practice focuses on providing his clients with business services and counseling, as well as counseling clients on real estate transactional matters. Apart from his transactional practice, Mr. Gamboa also represents clients in complex commercial litigation, securities litigation, and litigation related to real estate and other matters. Mr. Gamboa is accredited by the U.S. Green Building Council as a Leadership in Energy and Environmental Design LEED Accredited Professional (LEED AP). Mr. Gamboa has advised clients on business, corporate and real estate transactional matters. He has had a varied career that has included, among other things, advising a multi-national client on energy projects involving high-voltage transmission stations. He has also taken the lead in developing and implementing a strategy to help a multi-national car company establish its first car-sharing business in the United States. Mr. Gamboa has also assisted a multi-national company establish a Silicon Valley office. As General Counsel and Business Development Director for two start up high tech Internet companies, Mr. Gamboa advised the senior management team on a host of legal and business issues, was responsible for implementing the companies’ legal strategy, and worked collaboratively across various platforms within the companies to implement the companies’ business vision. Mr. Gamboa has also litigated and tried complex commercial, securities, real estate, and other matters in state and federal court as well as before FINRA (formerly NASD), which gives him an added perspective in his transactional practice that allows him to anticipate issues that may lead to potential litigation, and find solutions to avoid litigation down the line for his clients. By having both transactional and litigation/trial experience, Mr. Gamboa brings added value to his clients. Additionally, Mr. Gamboa has served as bond counsel, providing advice on bonds collateralized through real estate, and he has represented financial service and securities professionals in regulatory forums such as FINRA, and he has counseled and represented real estate professionals as well. Accredited by the U.S. Green Building Council (USGBC) as a Leadership in Energy and Environmental Design (LEED) Accredited Professional. Vice-Chair, USGBC Northern California Chapter, Diablo East Bay Branch. Board Member, City College of San Francisco Real Estate Advisory Board. Member, San Francisco Planning & Urban Research Association (SPUR) Sustainable Development Committee. Licensed by the California Department of Real Estate as a broker from 1992 to 2004. Former member, Land Use Committee and the Public Policy Committee of the San Francisco Chamber of Commerce. Former instructor for the San Francisco Apartment Association, a landlord-based organization. Former member of the Board of Directors and Vice President of the Property Claims Association of the Pacific. Former secretary of the Board of Directors of the Claims Conference of Northern California. Member of the State Bar of California's Real Property Law and Business Law Sections. Recognized by his peers and has been named by the publishers of San Francisco magazine as a Northern California Super Lawyer, a designation given to the top 5% of attorneys in Northern California. Provided in-house training and lectures on real estate related topics to groups such as the San Francisco Apartment Association. He has also provided training to insurance carriers and insurance industry groups, and he has prepared articles for presentation at American Bar Association events.